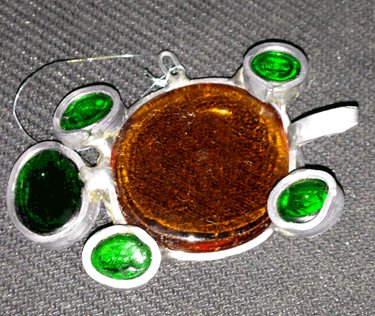 Colored glass stones are encircled in lead strips which are soldered together to make this little stained glass sun catcher. The head and feet are green, the body is yellow. 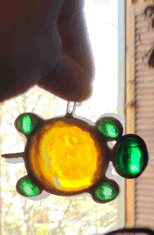 I remember these little sun catchers were very popular around the time macrame was the in thing. 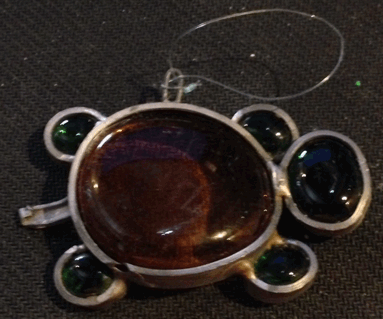 This little art deco turtle is at least 30 years old. 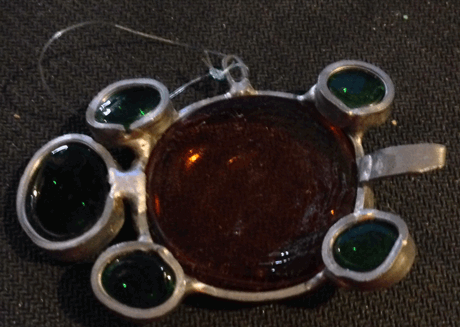 It's about 2.5 inches long and 2 inches wide. 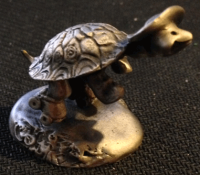 It weighs 1.6 oz. 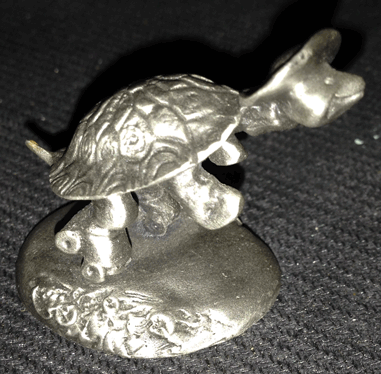 The maker's mark on the bottom of this piece says Little Gallery Fine Pewter, 1977 Hallmark Cards Inc., Made in the USA. 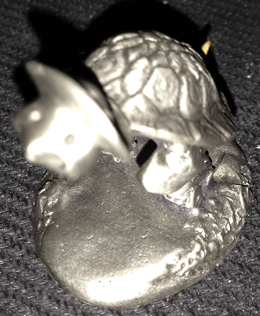 This little roller skating tortoise is also wearing boots on the front feet, a floppy broad rimmed hat, and a turtleneck sweater cuff around his neck. Obviously it is fall or close to winter when this little guy is out and about. 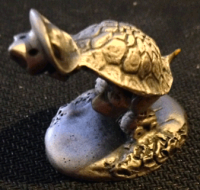 This tortoise figurine stands about an inch and a quater high, and is an inch wide at the longest part of the base. 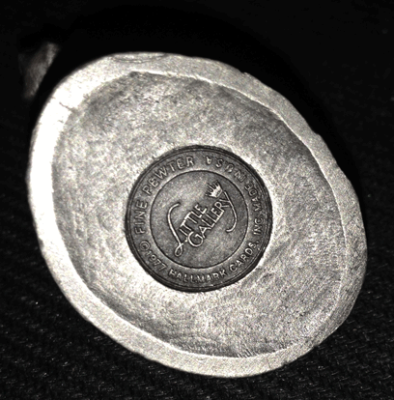 It weighs 1.4 oz.